If you’ve ever doubted the power of Google, consider this — the search titan processes 40,000 search queries every second. That factors out to about 3.5 billion searches a day…and about 1.2 trillion searches each year. Now consider how important it is for you and your message to be at the top of those Google search results rather than somewhere in the middle of the pack…or worse. Search engine optimization (SEO) is a science, so take advantage of a tool that knows how to put you at the top of Google searches with a lifetime subscription to SE Ranking’s Personal Plan. Right now, it’s only $49.99, over 90 percent off its regular price, from TNW Deals. SE Ranking scours the web to pull all the numbers on what words work (and which ones don’t) around your particular product or service. In addition to tracking how well your keywords are performing, SE Ranking will offer up any higher-performing alternatives so you can always have the best chance at organic search traffic. While they keep an eye on your search engine ranking, SE Ranking can also keep a close watch over what your competitors are up to as well, charting their traffic, their budget and their returns on online advertising. 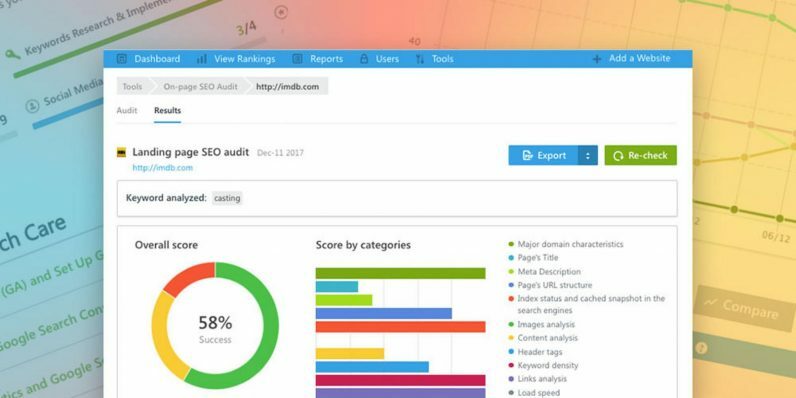 With SE Ranking, you can monitor all your keywords and other important metrics any way you want, auditing pages, checking backlinks, creating keyword groups and more. They’ll even forecast how much traffic you can expect from certain SEO adjustments. SE Ranking takes all the guesswork out of your SEO operation — and with a price tag of almost $850, it’s a steal with this limited time offer: just $49.99.